Alternatively, using a VPN will bail you out of every predicament. VPN is not for only those using Glo network but recommended for everyone. Why Should I Use VPN on my mobile device? No trace or logs of browsing or download history. Change your IP address to a different region. Boost up internet downloading and uploading speed. Browse the internet safely and securely without leaking any personal information. 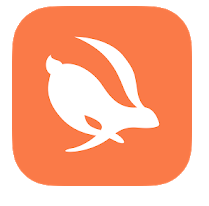 Turbo VPN: is the most amazing free VPN available on Google Play Store. It refreshes the proxy list regularly to give you the best experience. It secures your phone from leaking any personal identification while releasing all the secrets of the internet within few seconds. WindScribe: I love this one because of its simplicity of use and installation. The best part is that It’s absolutely free to use and offers up to 10GB of bandwidth per month. iOS users, download it here. Let us know if you are currently using a Virtual Private Network on your smartphone. Should we be expecting 5G Smartphones from Infinix in 2019? not using any. will try it now. The both are good recommendation because they are free with many good features. No, it means you get to use the 10gb of your data while using the VPN for one month free of charge…if you happen to exhaust your 10gb bandwidth within the month, you get cut off and have to pay for the service. Have tried this vpns but the down side is that it doesn’t support kodi. What’s the alternative sir? I once used First bank MasterCard to pay for an app on Playstore without any issues although last year. This yr I used Uba Mastercard to pay for another app with aid of Melon VPN to change my location to USA and it was successful. Hello Mr yomi, pls is there any way around having a paypal account that receives and also makes payment here in Nigeria ? Thanks. I will try it out VPN. turbo is the best for now it’s more stable than windscribe. 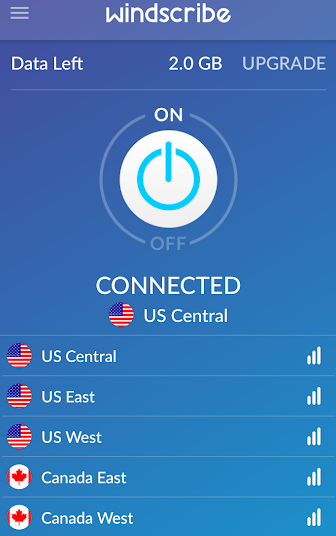 windscribe disconnect all times.